Seth Meyers said he is banning presumptive Republican nominee Donald Trump from appearing on his show for as long as Trump bans The Washington Post from covering his campaign. 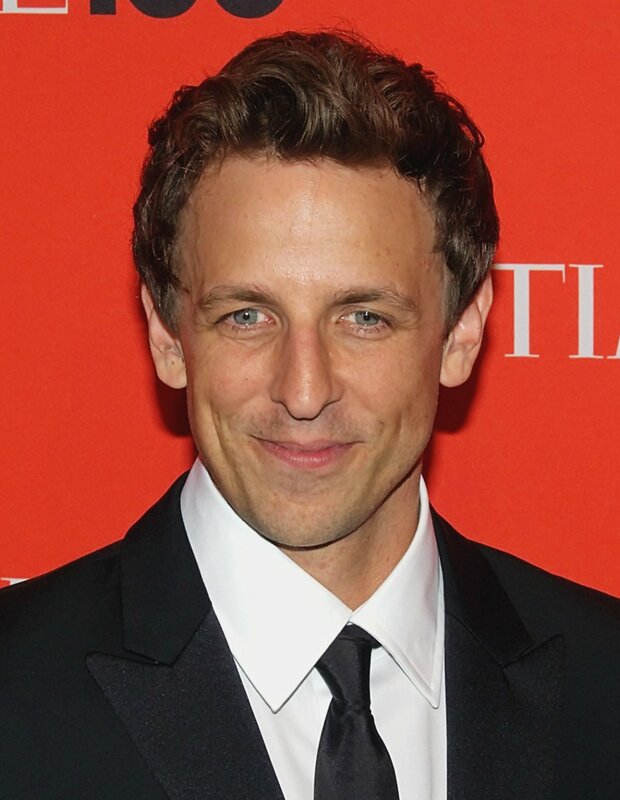 Meyers, the host of NBC's "Late Night with Seth Meyers," has a history of tension with the former "The Apprentice" star. Meyers was the host of the 2011 White House Correspondents Dinner, where he skewered Trump for his role in the "birther" movement, which questioned President Barack Obama's birthplace. In 2011, Meyers singled out Trump for ridicule at the correspondents dinner, saying: "Donald Trump has been saying that he's running for president as a Republican, which is surprising since I just assumed he was running as a joke." On Tuesday's broadcast, Meyers renewed his criticism of Trump condemning the real estate mogul for banning the Post and other media outlets from his campaign events. "By election day, the only media outlets that are going to be allowed on Trump's campaign are the National Enquirer and Rich Pricks Monthly," Meyers joked. Trump shot back Wednesday morning on Twitter, saying he never intended to come on Meyers' show, despite requests to do so. "I only like doing shows with good ratings," Trump said. On Wednesday night's show, Meyers stood by the ban: "We instituted this ban, despite the fact that he's never been here, or asked to be here, or would ever be caught dead here," Meyers said. "I just think that takes an amazing amount of courage on our part." "Late Night" leads its 12:35 a.m. time slot, with an average audience of 1.58 million people nightly.